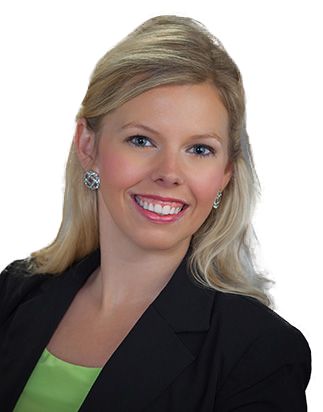 Melody June Manning LeVine is a Florida native and a skilled trial lawyer. She has taken her prior knowledge of defending large corporations in personal injury and wrongful death cases and put her experience to use in helping injured individuals. Melody attended the University of North Carolina at Chapel Hill School of Law, graduating second in her class. She went on to pass the Bar exam in 2008 with the second highest score. Melody gained invaluable experience working for two personal injury law firms during her college career. She joined Rebein Brothers law firm in 2013 and is admitted to practice before the state courts of Florida and the U.S. District Court for the Middle District of Florida. Melody is dedicated to serving the injured. Melody has compassion and empathy for her injured clients and is committed to obtaining the best possible results. Melody enjoys spending time with her husband, Matt, and their dachshund, Franklin. In their free time they enjoy traveling to visit their families, watching football, listening to live music, attending church, and taking long walks along Tampa’s beautiful Riverwalk. “I am extremely pleased to have hired Melody Manning and her firm to handle my case. They executed with honesty, professionalism, and care.” – K.B. “When it was time for me to attend the hearing for the final resolve for my case, Mrs. Manning was there personally to ensure that I was treated fairly and with respect. During my medical exam, not only did Mrs. Manning have her videographer meet me there, again, she also attended personally, to ensure that things went according to a professional standard.” – R.W. “I am thankful to say that, because of the hard work and aggressive pursuit to win my case, that we did win! Thank you, Melody Manning!” – G.C.